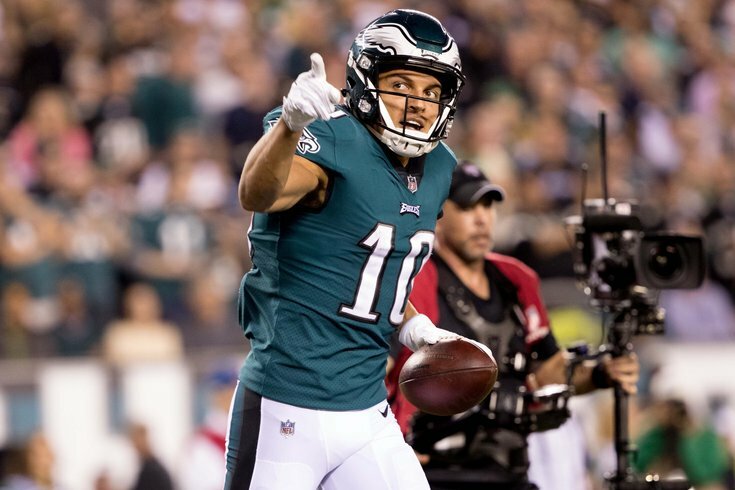 Eagles wide receiver Mack Hollins will be reunited with his former college coach. According to a source, the Philadelphia Eagles are set to hire wide receiver coach Gunter Brewer, the North Carolina Tarheels' wide receiver coach and assistant offensive coordinator. Brewer was the college positional coach most notably for Randy Moss, Dez Bryant, and Justin Blackmon. He also coached current Eagles wide receiver Mack Hollins during his time at UNC. To be determine if that bodes well for Hollins' chances at starting in 2018. "We're looking outside the building for that position, maybe who has been part of game planning a little bit would help," Doug Pederson said at the NFL Combine last Wednesday. "But it's not the ultimate (deciding factor). I want teachers first. I want guys that can teach fundamentals, can teach the little things, and then we'll worry about the game plan stuff." With more than 30 years of experience as a coach, ranging from running backs to wide receivers to quarterbacks to overseeing entire offenses, Brewer should certainly be able to teach. As a co-offensive coordinator and/or passing game coordinator over the last 10 years, he also fits the bill as a coach who can add ideas in the Eagles' weekly game plans.